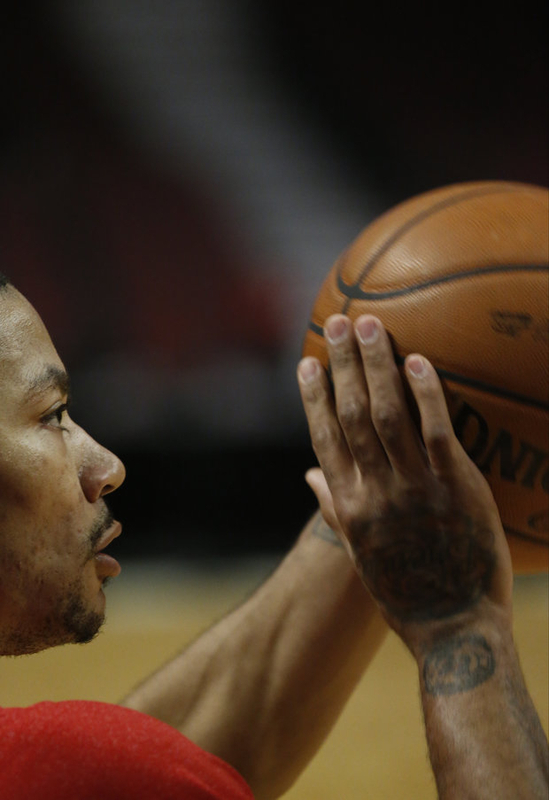 Should the battered Chicago Bulls pull the plug on Derrick Rose? The Bulls have been sinking-should they pull the plug on Derrick? As Bulls struggle, should Derrick Rose be shut down? The Bulls season is like watching the Titanic sink at this point. What a nightmare for the Bulls going on this West coast trip. Losing to the Lakers is one thing. Getting drubbed by the Kings in Sacramento was downright bad. No, bad isn&apos;t good enough. They were horrible. This Bulls team is spent. They look just lethargic and totally undermanned no matter who they play against. After the 42 point loss to the Kings, Coach Tom Thibodeau said he didn’t do his job and he had to have them “play harder.” There is no way you can say this team has quit on Thibodeau. It appears they just haven’t the capability to sustain energy right now. All the minutes that have piled up for Luol Deng (avg. 39) and Joakim Noah (avg. 38) has taken a toll on the two All-Stars. As the days go by and the calendar shows only 18 games remaining, it just feels like they have hit the wall. On this road trip, Derrick Rose told the media he still does not feel good enough to play in games. What may make sense at this point is to keep him off the court until next season. His mental hurdle seems the most challenging for him at this juncture. All the sports talkers and fans insist Derrick should play to complete his rehab. While that will be beneficial to his final stages, unless he is mentally there it will not matter. Players at his elite status seem to have a very difficult time after their first major injury. Some people want to question his toughness. This is one of the aspects about Derrick Rose that should never be brought up. Rose wants to play at the highest level he can. That seems to be more the obstacle. He has a will to be the best and the Bulls guard right now doesn’t think he is. Maybe if the team took the stand to shut him down, it would help Rose. There is not much time left to the regular season and it doesn’t feel like the Bulls will be any threat in the playoffs as they keep tumbling down the Eastern Conference standings. It would be a crushing decision for Thibodeau and the team. This uncertainty has reached a point where so many people have been affected and a resolution would help. There isn’t a press session before a game, after a game or after a practice that the Bulls coach isn&apos;t asked about Rose. There is nothing he can say or do, it is not Thibodeau’s decision. He has to put a team on the court that is missing two starting point guards (Rose and Hindrich), his starting shooting guard (Hamilton) and his best bench player (Gibson). Shutting Rose down would be tough on the rest of the team, but they are huge supporters on him. There is not one player that doesn’t believe in Derrick. He is the reason they have been as competitive as a team since he put on the Bulls jersey.